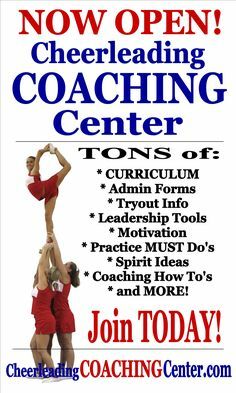 Are you a cheerleading coach that has girls on their team that do not have to tryout or are required to have basic skills? Q. How do you help the girls that are new to cheerleading and how do you make a competition routine when you have girls that are not able to do basic skills yet like toe touches? A. This is a great question and SO COMMON as many youth teams do not have enough girls for a tryout and just allow girls to register for the team. 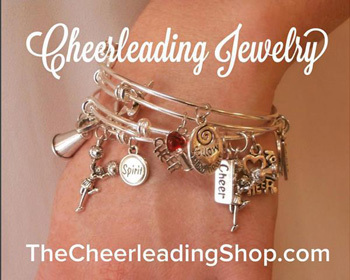 However, with this method, you will have members on your team that do not have any cheerleading experience and some that have extensive skills. At this point, your team goals should be to do the best that you can with the girls you have and try not to compete with the other teams. Focus on cultivating basic skills to start and work on routines that are simple and done well! Per competition, have the girls go into the experience with the goal to do their best and not really worry about placing THIS YEAR. As their skills improve and they see what other teams are doing, have them get excited about being more competitive in the coming years. 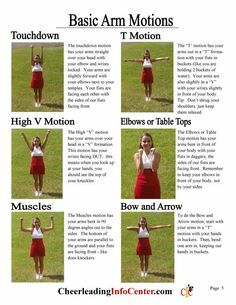 As you most likely have some girls with experience, for your competition routine this year, place these girls in the front of the routine and allow them to highlight their skills. 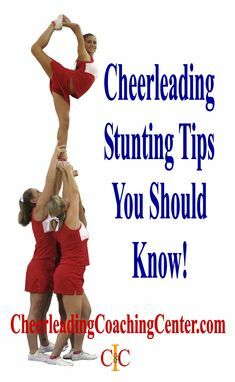 For example, you can have your experienced girls in the front center do an advanced stunt while the new girls will be placed on the sides doing stunts they are comfortable with like double thigh stands or preps / halves. Also, you can have your experienced girls mentor the new members and pair them up as practice partners to help accelerate their skills and motivation. I hope this helped and I am excited to hear how much your team progresses!